Wordpress Web Hosts. As we know there are other bloggers who are also platform in use for many blogs and websites, he is WordPress. 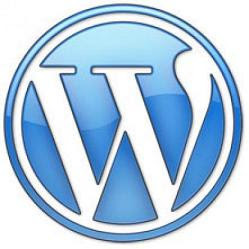 We can create a free blog using the facilities given by wordpress.org but as in most free hosting providers for their blogging has limitations. Unlike the blogger based free hosting from google, wordpress platform we can use self-hosting so that we can organize and we change as we desire. To create a website or blog is good with wordpress we must have a good web hosts, so that at certain moments do not happen error in your server. Some things to consider when choosing a hosting server itself existence, space and bandwidth that we get what is in accordance with our needs in making a website. Most people often forget that it can be dangerous, because the slightest error on our hosting big influence on our website are managed. To be careful in choosing hosting and should be observant and do not easily fall for ads of webhosts providers. Some friends say the experience of good service is also an important factor in choosing a webhosts, because with alacrity the admin of the hosting server problem will quickly resolved. Before there something that will make you regret it, look for information about the best web hosts available so you can get the right reverensi. And do not forget when we are using a hosting, get used to backup data. This aims to avoid the things that the want.